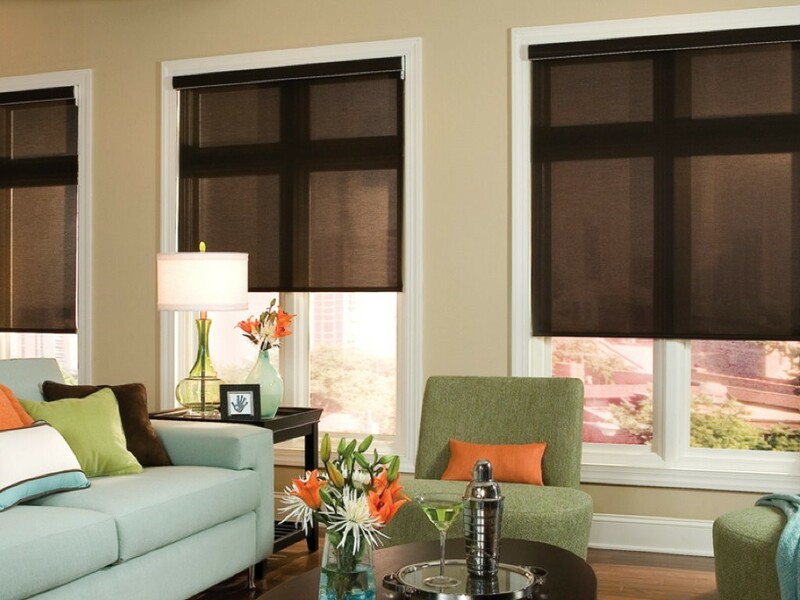 100% polyester fabric is naturally dust resistant and also UV stable so neither sunlight or moisture will harm them. 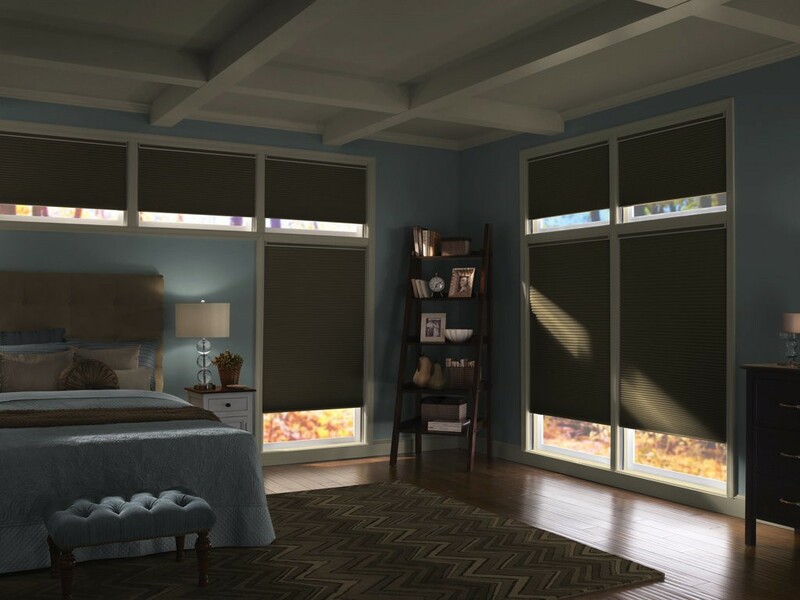 Double cell shades ensure crisp, sharp pleats that won't sag or stretch. Our color coordinated, streamline rail system and patented cord lock design ensures easy operation for a lifetime. Choose from a wide range of solid colors and textures. Available in regular cord control, cordless control, top down control, and also room darkening fabics. 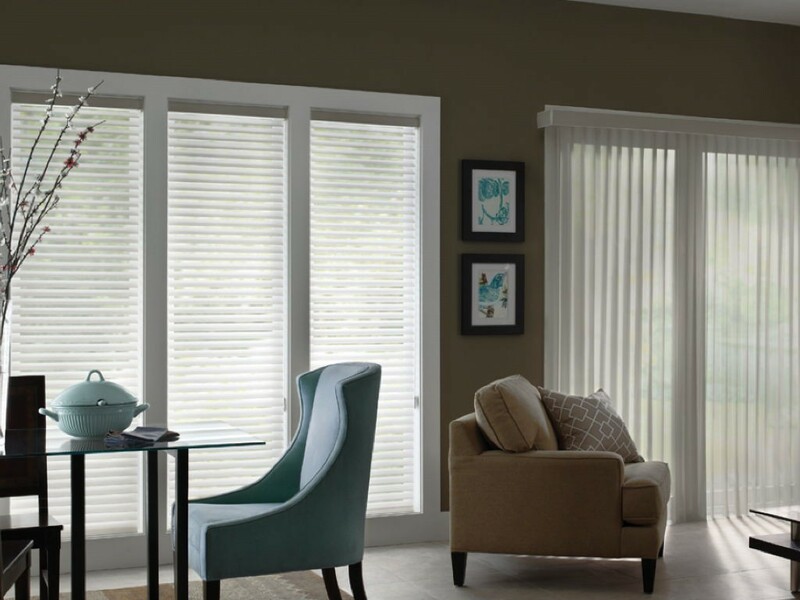 Bring natures beauty indoors with our classic American Basswood blinds. Splendid custom workmanship with matching cornice style valances. Choose from light oak, royal oak, dark oak, cherry wood, and whites. Natures renewable environmental friendly material. Nearly twice as much American basswood is grown yearly than is harvested. Outstanding vertical blinds for home or office. Heavy duty smooth operating headrail w/symmetrical spacing for a lifetime of carefree use. 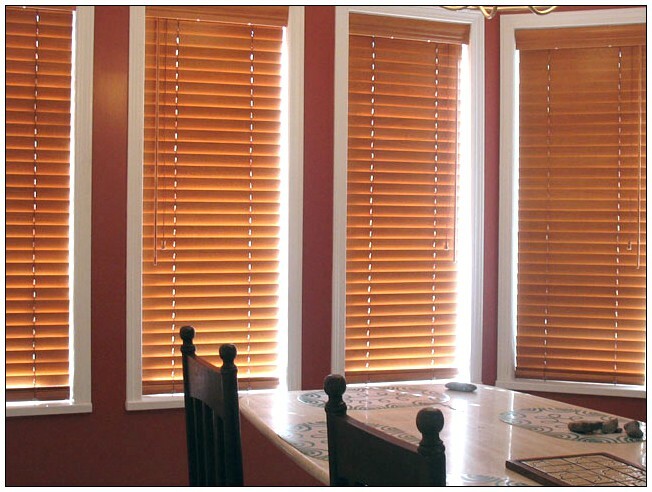 All our verticals come with a stylish one piece dust cover valance and smooth round corner returns. Choose from a huge selection of woven, textures or solid fabrics in the newest colors. We've combined the best of two worlds, the performance of a vertical blind with the soft classic beauty of drapery sheers. Simply rotate the woven sheer fabric for the desired amount of visibility or privacy. Ballet privacy sheers are further enhanced by a custom finished wood fascia that conceals the operating head rail mechanism. Choose from a large selection of sheer textures and colors. 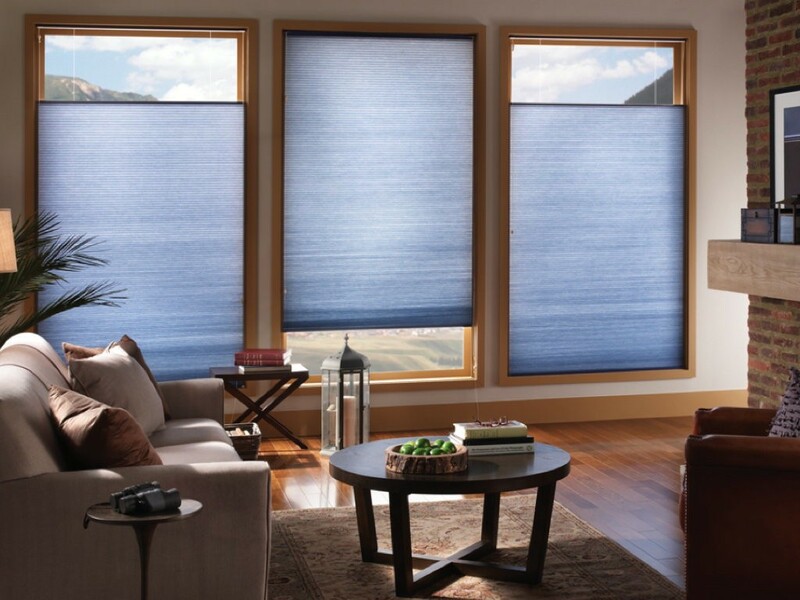 Sunscreen shades help manage the sun's heat and glare effectively - while maintaining the outward view…beautifully. Blocks 99% of incoming light in addition to limiting unwanted air flow. Energy efficient & available in a wide variety of colors. Provides an easy solution for covering large windows indoors. Available with all roller shade fabrics. 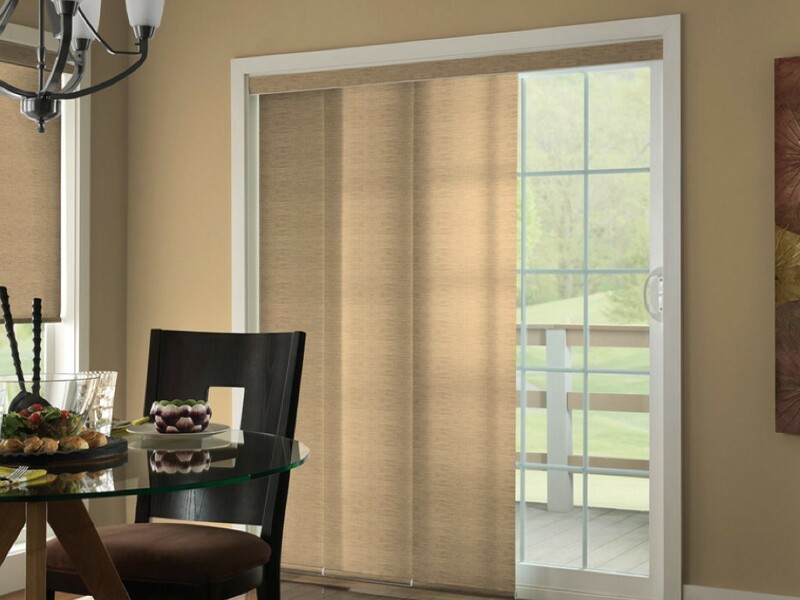 Has a fabric wrapped bottom rail for stylish cover of the shades hardware.